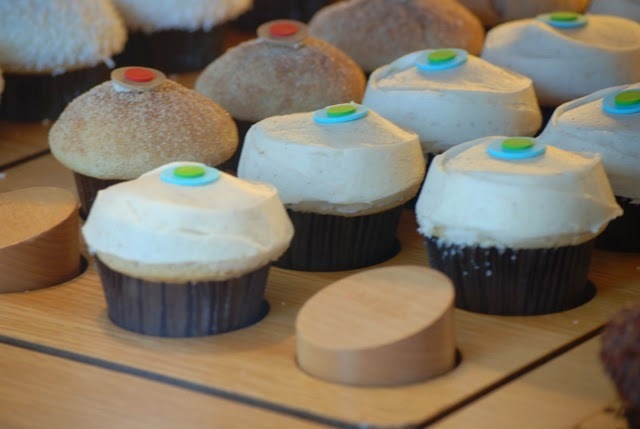 If you haven't had the opportunity to enjoy a Sprinkles Cupcake, you truly need to. They use natural ingredients, which I absolutely love. With an array of flavors to choose from, with the option to order online, it is one of the greatest places to enjoy a cupcake. 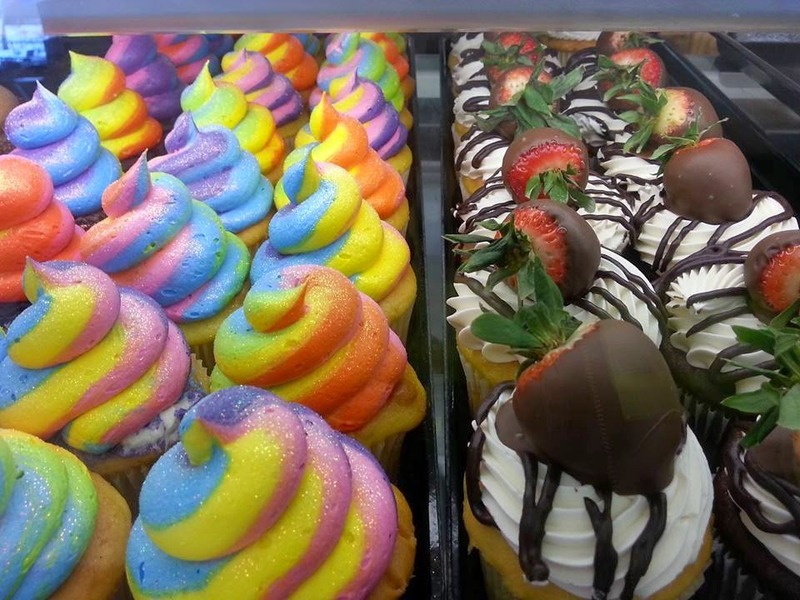 With locations in 8 states alone, this cupcake business is growing tremendously. Sprinkles offers vegan, gluten-free, and even sugar free. They also offer a doggie treat cupcake too along with various ice cream and cookie options. The Sprinkle Sandwich includes a single scoop of ice cream in between two cupcake tops. Cupcakes are only $3.75 each (mini cupcakes are $2) and a dozen is $42. The doggie cupcake is only $2.50. The Sprinkles Sandwich is $6.50. Plus, you get a free cupcake just for signing up for the birthday club. 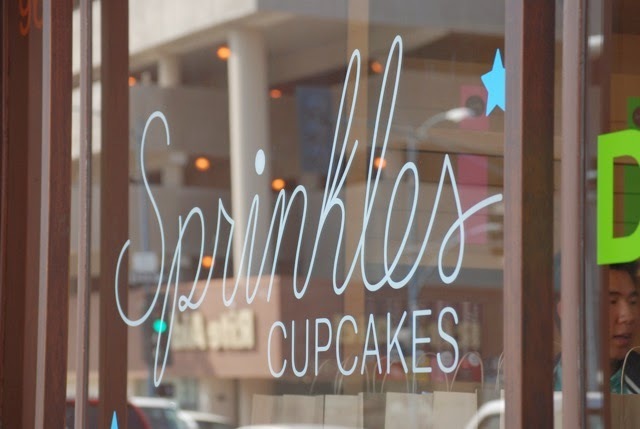 The next time you are in a Sprinkles, don't even think about not going in because you are going to want to. Some people thought they were fake and some people even said they were the best cupcakes they ever ate, which made my day better. Cupcakes are not only fun to make, they are a great way to get creative too. When it comes to adapting a novel into a movie, there are a lot of things that come into play. Although the storyline is epic already, it is key to project that story to the big screen without the story losing it's meaning. Here are 10 great books that were adapted into incredible films. 1. The Godfather by Mario Puzo. Published in 1969, this crime novel fiction is the reason why The Godfather (1972) is ranked as one of the greatest movies of al time. This book interprets the realistic drama of mafia war. 2. Charlie and The Chocolate Factory by Roald Dahl. Published in 1964, this children's book is not only one of my favorite books, but lead into one of my favorite movies ever Willy Wonka and The Chocolate Factory (1971). The story executes rags to riches and teaches you about appreciating what you have, as a young boy's life is changed forever after he meets an eccentric chocolatier. 3. The Lovely Bones by Alice Sebold. Published in 2002, this literary fiction book tells a moving story which involves a teenage girl who after being raped and murdered watches her family in the afterlife which brought us The Lovely Bones (2009). This story is definitely one of the greatest that exists in the world as we know it. 4. The Color Purple by Alice Walker. Published in 1982, this epistolary story is the reason why The Color Purple (1985) became one of the greatest dramas to hit the big screen. The story is simply about women of color living in the south during the 1930s. 5. The Exorcist by William Peter Blatty. Published in 1971, this horror novel is the reason why The Exorcist (1973) became one of the greatest horror films of all time. The book tells a story about a 12 year old girl who deals with demonic possession and how it effects her family. 6. Old Yeller by Fred Gipson. Published in 1956, this story brought us one of the greatest movies of all time, Old Yeller (1957). The story is about a family who falls in love with a dog. The dog later becomes infected with rabies and eventually they have to kill the dog. Very sad. 7. Cool Hand Luke by Donn Pearce. Published in 1965, this dramatic prison story brought Cool Hand Luke (1967). This first-person novel tells a story about the life prisoners have to endure on a daily basis back in that era. 8. The Silence Of The Lambs by Thomas Harris. Published in 1988, this epic horror thriller is what brought The Silence Of The Lambs (1991) to the big screen. This thriller covers the psychological profile of a cannibalistic serial killer. 9. Forrest Gump by Winston Groom. Published in 1986, this 21st century novel dramedy is the reason why Forrest Gump (1994) is one of the greatest films to date. Although the film is different than the novel, it would not exist without it. 10. Mystic River by Dennis Lehane. Published in 2002, this crime and mystery fiction story is proof that the Mystic River (2003) is one of the best films this century. The book tells a story about three friends growing up in Boston to later become enemies. Google was founded on September 4th 1997, however, it became a domain officially on this day 17 years ago. I find it incredibly fascinating because it was in late 1999, early 2000 when I first discovered Google. Needless to say, I was modestly skeptical and didn't think it would go on to become one of the world's most popular websites. I had a relative that attended Stanford University for Psychology way before my cousin Neda Afshar attended (in fact, it was our uncle) and he told me about a website called "BackRub" which was operated on Stanford servers at the time. He also told me Google was once a part of BackRub before it was shut down due to overuse of bandwidth. About a year after BackRub closed, both Larry Page and Sergey Brin played around with names and ideas on what to call their newest project. It was then, that they both came up with using the name "Google". In 1998, with an investment of $100,000, Google basically took off from there. Now it is 2014 and Google has managed to become a billion dollar brand. As I type this out, I am actually using a Google product (Blogger or Blogspot) to do so. I am extremely confident that Google will continue to become greater. In fact, by the time I am old and gray, Google will be even bigger than they are now, which is huge. Today I decided to visit Yellowstone National Park. As I tend to enter via West Yellowstone, I always find myself contemplating and debating where to go for breakfast, for lunch and for dinner, as I have had the privilege of dining at many places in the area. And as much as I love quite a few restaurants in West Yellowstone, I find myself really loving and appreciating the Old Faithful Inn dining room located in the Old Faithful Inn. Located on 3200 Old Faithful Inn Road, this is a place I highly recommend. As a vegetarian, I enjoy this restaurant because it offers an extensive selection of vegetarian food. It also features an array of favorites with a vegetarian angle, so you can order anything and they will provide you with great alternatives and substitutes. The ambience is definitely interesting as it consists of a rustic yet historic log cabin. As most of the time they only accept reservations (mainly for dinner) to eat here, sometimes it is great to frequent this world-renowned geyser inspired eatery during the lunch hours, as they tend to not be so busy. I decided to enjoy a nice lunch here today, as I was visiting the park. Today, I ordered the roasted red pepper smoked gouda soup with a classic vegetable panini with mozzarella cheese on it. The sandwich was a little dry, but had a rustic flavor I really appreciated. The soup was absolutely delicious. I can see that being a real, tried and true classic to keep on the menu. To drink I enjoyed Chai tea, as they make a good one here. The tea comes directly from Big Timber, Montana and everything is so fresh and flavorful. I wouldn't say it was as good as masala chai, but they offer organic vanilla almond milk which is what I love with my chai tea when I order it. For dessert, I decided to order the Summer Berry Stack. This dessert consists of a citrus cake layered with key lime and creamy white chocolate cream cheese. It also consists of an array of berries and is garnished with raspberry syrup. I really like the dessert here; however, it does remind me of something that was or is frozen and then thawed out. Nevertheless, it was still relatively decent. I have tried almost every restaurant in Yellowstone and so far, this is a favorite. They also offer a lunch buffet, but I haven't tried that. Lunch is from 11:30 am until 2:30 pm everyday. For more information about the Old Faithful Dining Room, just click here now. I have degrees as a Certified Clinical Nutritionist and Certified Clinical Master Herbalist, and I’ve been devoted to the natural health industry for over a decade. Originally, I began my career as a natural health professional consulting with clients to “nutritionally support” the healing of physical ailments. At the time I was also teaching a Sports Nutrition class at the college I graduated from – the Natural Healing Institute in Encinitas, CA. I had a serious ankle injury and was on crutches. A classmate, who works for NeoCell, gave me a bottle of Collagen Sport to try out. The rate of healing was so fast that I started looking into collagen more closely and was amazed at what I was finding in the literature! One thing lead to another and now I’m the National Educator for NeoCell. In addition to travelling throughout the country giving lectures on collagen, I write most of the blogs found on our website http://www.NEOCELL.com/blog.php and produce many of the training video found on our YouTube channel http://www.youtube.com/user/NEOCELLcorp. (Q) As a fan of NeoCell, I have to ask - what inspired you to get involved with NeoCell? It was my own personal healing experience that got me hooked! I certainly don’t feel like a salesman when I lecture about collagen. I truly believe in our NeoCell product line and know that millions of others can have the same dramatic results if they learn about it and try it out. (Q) I recently had the opportunity to read the latest blog post you made on NeoCell's blog titled "A Mother's Love" and I have to say that I was truly moved. You wrote this story years ago, which was interesting. Can you tell me more about that particular encounter with the homeless woman? I’m glad you enjoyed it. I wrote it for myself about 10 years ago when I lived in San Diego. It was never published, but I was so moved by the experience that I didn’t want to forget it happened. I ran across it on my computer and thought it would be a fitting post for Mother’s Day. The encounter has taken on a new meaning for me, now that I’m in my mid-30s. I am a proud father of a beautiful toddler and can finally comprehend the woman’s selflessness and love for her child and grandchild. As a parent, there is nothing more important than our kids, including our own comfort and well being. (Q) Is it true that you are also a second degree black belt? Yes, I hold a second degree black belt in judo (Nidan) and I have crossed trained in Brazilian Jiu Jitsu for many years. I was a competitive athlete in my 20s, but due to several severe injuries (5 broken teeth, numerous concussions, MCL tear, and much more), I decided to teach others how to get injured – haha, just kidding – how to defend themselves, so I became a Certified Coach through the USJA. I ran my own club, Aztec Judo, out of San Diego State University for 6 years and taught the judo class at Team Quest for a while. I also taught a credited Self Defense class through the university and was the instructor for the official sexual assault prevention program as well. I spent years developing my program S.A.V.E.D. (Sexual Assault Violence Education and Defense) and wish I had more time today to teach it. Unfortunately, I have taken a sabbatical from martial arts coaching in order to focus on my family and career, but plan to get back into it once my daughter is old enough. Teaching children brought me great joy in life. (Q) When working out, do you supplement using NeoCell? What are the benefits of using NeoCell products? Absolutely! I consider collagen the most important supplement that I take for exercise recovery and weight training. I joke that I’ve injured every major joint in my body except my left hip, so I’m very protective of it! After retiring from judo I put a lot of focus on fixing my body. I didn’t want to be the guy in the wheelchair at age 50 because of the abuse I put on it in my younger years. Collagen is essential in preventing new injuries from occurring by strengthening my connective tissue. It also has done wonders healing my old injuries. I now live pain free and without exercise limitations. In fact, I’m training for an NPC Physique show in November. For anyone interested in following my progress, check out my blog http://NEOCELLcollagen.wordpress.com/2014/07/14/weight-loss-and-lean-muscle-routine/ and be sure to follow me for the latest pictures and updates. I plan to write a more extensive meal plan, training guide, and supplement routine on the blog in the near future, which will include an in depth discussion on the collagen and exercise. (Q) For everyone reading this interview, what would you like them to know? What is next for Tim Mount? In the short term, personally, I’m highly focused on my upcoming physique competition. Professionally, NeoCell has some very exciting things on the horizon which will keep me very busy! For future endeavors, I have found that as long as I follow my passions in life and put in the effort to become an expert, that opportunities present themselves without me seeking them out. I’m convinced that the natural health industry will continue to grow and more and more people will discover the benefits of NeoCell. Who knows what is in store! Can you believe that it's been 13 years since the terrorist attacks in New York City on the World Trade Center? It's been over a decade since Tuesday, September 11, 2001. Causing over $10 billion alone in damage, the lives lost (3,000+ people) on that horrible day are priceless. I remember when I first heard of the terrorist attacks. I was in class typing up a paper about ethnicity and the college environment. If I remember correctly, it was a general Psychology class. One of the assistant professors came running in and mentioned that a plane was hijacked (United Airlines Flight 93) and landed in Pennsylvania. My entire being went completely numb. It was as if a plethora of fear manifested my entire being. The only thing I could think was "what would motivate someone to want to do this?" Ironic that I was writing a paper that incorporated racial profiling and this type of affliction was occurring, as I hit space followed by enter. I proceed to look at my prepaid cell phone where I noticed that I had received a few missed calls from family and friends. When I checked the voicemails, the entire terrorist attack was brought to my attention. Little did I know that about 20 terrorists from a terrorist group had an agenda and were looking to desperately be heard through their actions, so they took it upon themselves to hijack planes, crash them into buildings and take lives, including their own. The only thing I could think of was the manipulation and the marginalization of these "terrorists". I think these people were simply made to believe they are nothing, unless they do something to garner attention and make some sort of change, as a result. I remember reading about this type of thing, but I never thought that a group would take it one step further and actually kill people in the process. As an Iranian American woman living in Pittsburgh (which is where I happened to live/be at the time of the attacks, as well) it was evident that these people were all part of a social exclusion. Crime is often embraced and valued in the social marginalization of people. So, these terrorists were actually taught that killing other people just to be heard was actually the right thing to do. And as a result, change would happen. Almost like a regressive imperialism, I believe the motivation for these attacks was quite evident, but at the end of the day, no matter what anyone attempted to do, the brave ended up losing the battle. When I look back 13 years ago when this happened, I see a part of history. There were a lot of heartaches and a lot of heartbreaks, but in the end, I see a country still standing. A country that is still alive and well. Freewill is a choice, as freedom is too. We live in a country that allows us to use our freedom for whatever reason we choose. It is certain that we will never forget what happened on this day many years ago, but we can be grateful and thankful that we are still here and still standing. Sarah, I’m doing amazing! Thanks for having me. In a nutshell, Quest Nutrition is all things clean, fun and delicious. Our mission is to end obesity without sacrificing flavor. We offer 14 delicious protein bar flavors for every taste bud, as well as Quest Cravings (peanut butter cups), Quest Pasta, and our newest family member: Quest Protein Chips! (Q) That is amazing! I have to ask, what is the inspiration behind this brand? Quest was inspired by leaders who wanted to bring value to peoples lives. We are serial entrepreneurs who wanted something that will benefit people, as a whole. Enter, Quest Nutrition! The spearhead to ending obesity. (Q) You offer everything from low carb chips to low carb pasta to low carb candy bars to even low carb protein bars. I have to ask, what are your best selling products right now? Our most popular sellers continue to be our Quest Bars: Cookies & Cream and Chocolate Chip Cookie Dough. We have yet to compare our Quest Protein Chips, but they are on their way to success. (Q) When it comes to protein bars, you offer quite a selection. Everything from 'cinnamon roll' to 'apple pie' to 'lemon cream pie' to 'strawberry cheesecake' to even 'banana nut muffin' and much more. You even offer a 'Peanut Butter & Jelly' one, as well. I have yet to discover a protein bar, which is low carb to offer such an extensive selection. It's incredible. I’m glad you mentioned PB&J, as it’s my favorite! Don’t forget, amongst all the low carb macros and nutrients, we offer a high value of protein as well! Famous for what we have, and don’t have sugars! We definitely do our best in Research & Development to give the best tasting products without sacrificing our macros. (Q) I love that offer two different kinds of pasta, spaghetti and spinach fettuccine. This is perfect for those who are doing a high-protein, low-carb diet. They are also great for individuals with diabetes. When we first released Quest Pasta we didn’t know how our customers would react, as it was left field of our Quest Bars. But they’re doing great and just another family member to our ever growing line of products. We try our best to have something for everybody. (Q) The chips you offer are incredible. The flavor pairings are one thing, but the fact that they are low in carbohydrates is just something entirely special. When you created one of America's favorite foods on a healthier level, what was your mission? Going back to our mission, it’s to eat cleaner, but NOT sacrificing taste or the feeling of indulging. It only made sense to replace just fun eating, with fun and healthy eating via Quest Protein Chips. It’s a snack for the perfect road trip, hike, or post gym. We definitely aim for convenience as the world has less time to prepare meals, and more time working on their personal growth. Quest’s Kitchen is where all the fun takes place! You can catch all our favorite fans creations on our Instagram: @questnutrition, as well as our “Cooking Clean” series on YouTube hosted by Cassey Ho. It’s a fun way to engage with our amazing fans and let them know we couldn’t have done it without them! 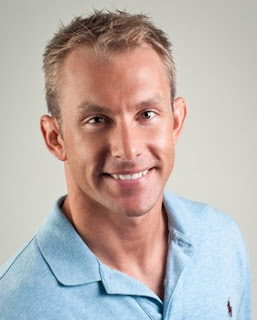 (Q) When someone approaches you and says "Matt, I don't know what I would have done without Quest Nutrition. Your products have allowed me to enjoy my favorite foods without the carbs." How does this kind of testimony make you feel? Honestly, there were times when I wondered if people would appreciate what we were doing… and to see all the comments on social media and emails, it has motivated us even more to continue our quest (no pun intended) as it makes everything worth it! If not us, somebody would try to do this…Might as well be us – TEAM QUEST! (Q) For all of those health and wellness enthusiasts, including food lovers and foodies that are reading this interview, what would you like them to know? What is next for Quest Nutrition? Quest Nutrition is relentless and passionate in our mission! Y’all may think we don’t listen or read what you write, but we do! Continue to contribute your ideas because we appreciate you! 2014 is just the beginning. Make space in your kitchen for what’s to come. Let’s make conscious eating clean and fun, together! For more information about Quest Nutrition, please visit Quest Nutrition today. Happy Birthday Farrokh Bulsara! In my opinion, there is no other artist in the world like Freddie. He had the voice, the artistry, the personality, and the charisma. His style and image was one thing, however, every time he opened his mouth, you knew it was him singing and as a result, he had unbelievable projection because he made you believe what he was singing about. Freddie delivered vocally through every single performance. You may be gone, but you are never going to be forgotten in this life time. Happy Birthday Freddie! Founded in 1998, Google.com continues to remain stronger than ever. I remember when I first started college, every single computer at the main library had "Google" as it's start page. I remember asking the librarian "What is Google?" and she proceeded to explain to me, it's a lot like MSN (which was the most popular at the time) and Yahoo! Little did I realize that Google would go on to become something so much greater in the years to come. Not only a business, but a brand. Now, 16 years later it is stronger than ever. In fact, it went from a small idea with only few employees to almost 50,000 employees (47,000+ to be exact). With a strong effort to promote lobbying, Google is definitely high in the ranks. When I asked the librarian years ago "What is Google?" I never realized that Google.com would go on to become one of the world's strongest and powerful multinational corporations. And knowing what I know now, I believe it's going to be just as strong in many more years to come.